Jimmy & Some of The Most Famous Politician, Celebrities from Asia. Jimmy believed in the value of lifetime client relationships. I know these relationships are earned over time. They are not to be taken for granted. Jimm'y strong networkings, excellent marketing experiences, and management skills, definitely can assist you sell your property in a short of time, or to find a nice house, a sweet home with lowest or fair market price. Jimmy works diligently, honestly, and integrity to provide the very best service and value for money to earn your trust, friendship and loyalty. CEO of The Success Real Estate School(Chinese Langiage). CEO of Global Marketing & Management Group, LLC. Vice President of Marketing & Business Development with Century 21 CARE. Director of RE School, Teacher of practical training at the real estate schoolwith Century 21 CARE. VP of ETTV America, VP of IAVC TV. Asian & Chinese Market Manager of AT&T & Sprint. Jimmy is a full-time Professional Realtor with excellent marketing experiences in LA for many years. 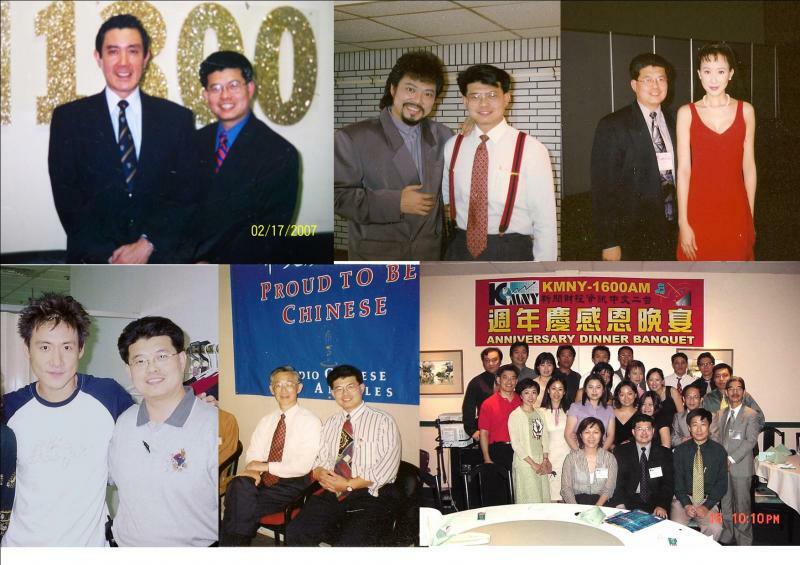 Jimmy's strong marketing experiences and high rank managerial positions with TV, Radio (Chinese language) in past years made him become an excellent real estate marketer with nice manner, great connection and people's skills, plus an excellent credibility (FICO score at 840, Top 1% in US) . Jimmy specialized in both residential and commercial real estate. Jimmy is the Vice President and the Team Leader of the "Team of Success", leading 10 Pro-realtors and assistants in﻿Keller Williams Realty at Diamond Bar/Rowland Heights area to assist you selling or buying properties in LA area or Orange County. Jimmy is also the director of the RE licensing school, instructor of the practical training. Jimmy has been interviewed by local Chinese TV networks or newspapers average 8-12 times a year. Jimmy is willing to support and sharing his successful RE experiences with his clients, new realtors or students. Jimmy also joint-partnered with SCEPTRE which is a famous brand of HDTV company in USA. Any clients selling or buying homes from Jimmy or Jimmy's team, you may get a FREE HDTV from 19" to 55" (certain restirctions may apply). Please Contact Jimmy at 626-869-6688 or through social media, such as WeChat: JimmyLGYuan, FaceBook: JimmyYuan168 or LINE: JimmyYuan. Jimmy has been living in LA since year of 1985, his multicultural background, hard working, responsible, strong networking and advertising support in community, definitely can assist you to sell your house at higher price or find a lovely home at lower price for you and your family in a very short of time period. Please feel free to contact your most trusted Pro-Realtor - Jimmy Yuan, if you need assistance in any real estate related question. Jimmy will always be very happy to assist you. You can contact Jimmy from Taiwan or China for FREE, please see "Contact Us". Digital TV educational seminars, partnered with KSCI LA18 - 2009. Demonstrate Sceptre HDTVs in all big community events in Chinese markets, recruit and train promotional 6-10 girls - 2007-2009. Cool Mom Singing and Dancing Talent Contest, partnered with 3 Hong Kong Plazas -2007. Increased radio station's revenue 30% - 35% annually for three consecutive years from 1998 - 2000. It's a top record in Asian meida in USA since 1990. Certified Product Trainer - Sprint Telecom - 1993. Most Efficient Sales Manager Award by Sprint Telecom - 1993. Top Agency Sales Manager Award by MCI Telecom - 1992. 3rd place winner of singing contest with Chinese radio programming on AM1300 called “Unicoast 聯邦廣播電台”，董事長 湯容肅女士. Jimmy got a DJ/Radio Host & Singer contract, and became a DJ on the radio KAZN AM1300 - 1991. 2nd place winner of a Chinese TV station’s singing contest (Asia TV, 亞洲電視，董事長 鄭佩佩女士 on KSCI channel 18) - 1990. Copyright 2018 Jimmy Yuan. All rights reserved.